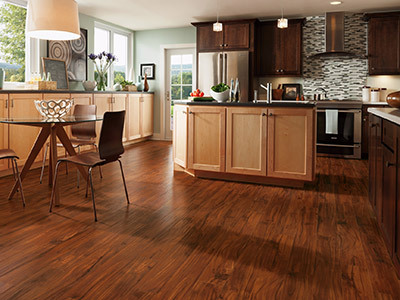 Enhance your home’s beauty and add resale value by installing vinyl flooring on your next home improvement project. We carry all the major brands of vinyl flooring, covering a variety of flooring options from modern to traditional. Vinyl flooring are durable investments and easy to maintain. If you are considering investing in a vinyl flooring, at Ricci’s Home Improvement we have a team of designers and installers that will help choose the perfect replacement of your floor and install a brand new vinyl flooring when you are ready for your next home improvement project.